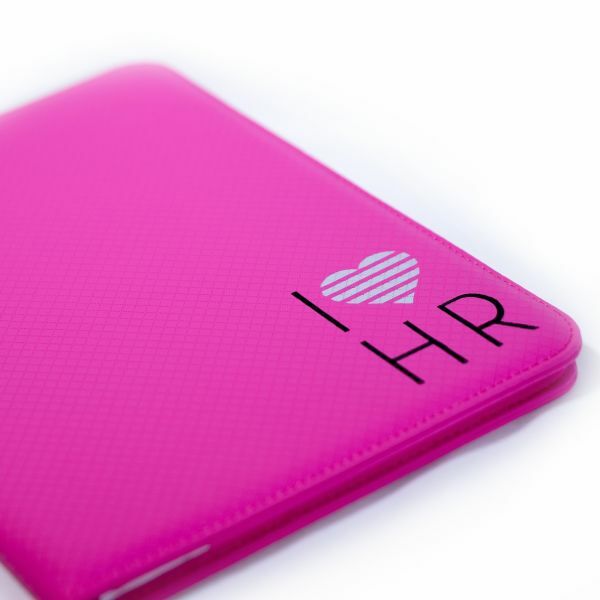 Distinguished classy Pink padfolio and pen with I Love HR logo. 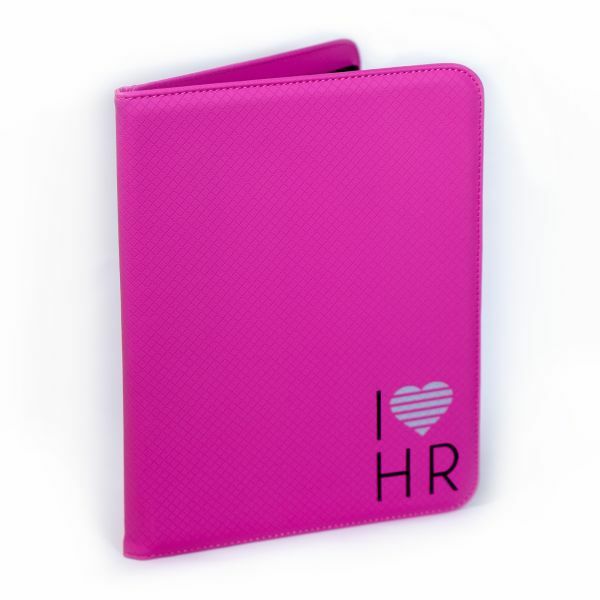 Features a practical a gusseted document pocket. Card holders, two USB memory drive holders, mesh ID window, gusseted elastic media pockets and an 8.5 x 11 writing pad.